Owing to the wide experience in this domain, we are instrumental in offering Post Tensioning Flat Duct to our clients. 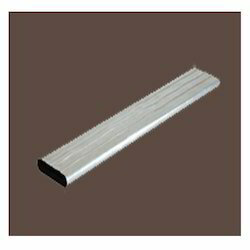 We are the leading manufacturers of Galvanized duct. 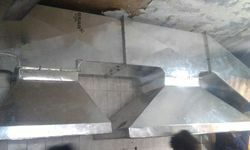 Our range of Hot Galvanized Flats is widely used in automotive, steel, engineering, chemical and food processing industries. These are available in various thicknesses and dimensions as per the requirements of the clients. Our range is highly acknowledged by our clients for high tensile strength, corrosion resistance & excellent mechanical properties. - any tube, canal, pipe, or conduit by which a fluid, air, or other substance isconducted or conveyed. - Anatomy, Zoology. a tube, canal, or vessel conveying a body fluid, especially a glandular secretion or excretion. - Botany. a cavity or vessel formed by elongated cells or by many cells. Flat Oval Spiral Tubes duct is machine formed round spiral duct. The straight sections of the long sides are stretched taut and perfectly flat. The flat oval shape is specifically plain duct designed for low head room and restricted space locations which can't accept round duct. - provide an engineered duct for areas with low head room and restricted locations which will not accommodate a round duct.